"Not one of the 17 GOP candidates has discussed how they'd address the rising cost of college." 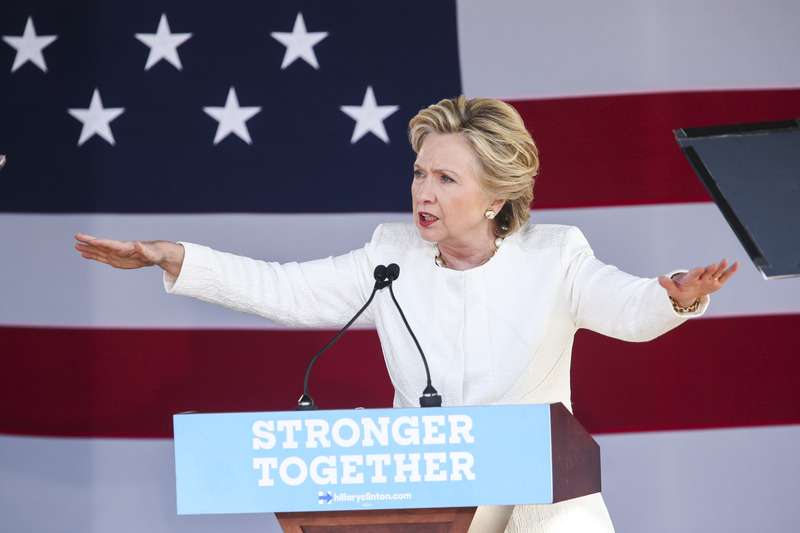 By Joshua Gillin on Wednesday, August 26th, 2015 at 3:39 p.m.
Hillary Clinton is contrasting her plan to overhaul federal assistance for tuition at public colleges with her potential GOP rivals by saying Republicans haven’t even considered the issue. "Not one of the 17 GOP candidates has discussed how they'd address the rising cost of college," said in an Aug. 23, 2015, tweet. "Disappointing, but not surprising." What is a little surprising to PolitiFact Florida is that Clinton’s tweet omits at least one candidate who has made college costs a major platform plank — the Sunshine State’s Sen. Marco Rubio. Rubio said as much by tweeting back the same day, saying Clinton "can't lecture me on student loans. I've had student loans & I have a plan to modernize higher ed." He then linked to a statement on his website excoriating Clinton for planning to put tax dollars into an "outdated system." Clinton’s own idea is a 10-year, $350 billion plan called the "New College Compact." Clinton proposed in August to allow students to attend public colleges without taking out loans to pay tuition. Families would be required to contribute and federal spending would be expanded, but with controls on spending by colleges and universities. Clinton’s campaign has not offered many details beyond the price tag and told PolitiFact Florida they had nothing to add to her tweet. Rubio has been talking about the issue since at least February 2014, when he made a major policy speech about controlling crippling college debt. He repeated his positions in a July speech after he declared his candidacy. Establishing a new accreditation process for nontraditional education. Rubio has not said what these "innovative, low-cost competitors" are, but they are generally considered to be for-profit universities, online courses and others. Requiring schools to tell students what kind of salary they can expect to earn with every degree. Basing loan repayment plans on the amount of money a graduate makes annually. Allow student investment plans, in which investors would pay for a student’s tuition in exchange for a percentage of their post-graduation income for a number of years, whether that covers the investment or not. Expanding apprenticeship and vocational programs for students who don’t want or need to go to a tradition two- or four-year college. Some other candidates have also brought up tuition increases, student debt and federal spending on higher education. In June, New Jersey Gov. Chris Christie laid out several ideas for reforming post-secondary education with an eye on reining in costs. Christie suggested itemized tuition bills that detailed what the money was paying for; allowing students to pay just for classes and not facilities or add-ons; and letting students obtain private financing for college with an option to pay it back with a percentage of earnings after graduation. He also floated ideas of providing tax credits for apprenticeship programs and for donating to debt reduction organizations that help students pay for schooling in exchange for community service. Carly Fiorina, the former technology executive, said in a July Q&A on Breitbart.com that student debt was out of control because "the federal government under Democrats has nationalized the student loan business." She suggested letting private banks compete for student loans. She also said the accreditation process should allow for more for-profit universities and online courses. Sen. Rand Paul of Kentucky said in April 2015 he thought college tuition should be tax deductible, although he did not offer specifics of how that plan should work. Former Florida Gov. Jeb Bush earlier in August sparred with Clinton on Twitter about tuition, while Ben Carson, a former pediatric neurosurgeon, in February wrote a Washington Times editorial suggesting needy people should get jobs if they require help paying for college. Other candidates have been even less vocal on the subject, saying simply that college costs are a problem that have been dealt with, or nothing at all. Clinton said, "Not one of the 17 GOP candidates has discussed how they'd address the rising cost of college." While some Republican hopefuls haven’t had much to say on the issue, it’s not accurate to say none of them have. Rubio has made higher education spending a major plank of his campaign, and other candidates like Christie and Fiorina have set forth ideas and positions. Other candidates have at least mentioned the subject at times. We rate Clinton’s statement False. Published: Wednesday, August 26th, 2015 at 3:39 p.m.